Article 82(1) of the General Data Protection Regulation (GDPR) provides that any “person who has suffered material or non-material damage as a result of an infringement of this Regulation shall have the right to receive compensation from the controller or processor for the damage suffered”. 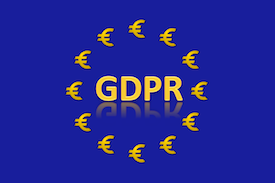 As a consequence, compliance with the GDPR is ensured through a mutually reinforcing combination of public and private enforcement that blends public fines with private damages. After the introduction, the second part of this article compares and contrasts Article 82(1) GDPR with compensation provisions in other EU Regulations and Directives and with the caselaw of the CJEU on those provisions, and compares and contrasts the English version of Article 82(1) GDPR with the versions of that Article in the other official languages of the EU, and concludes that at least 5 of the versions of Article 82(1) GDPR are unnecessarily ambiguous, though the CJEU (eventually, if and when it is asked) is likely to afford it a consistent broad interpretation. However, the safest course of action at this stage is to provide expressly for a claim for compensation in national law. The third part of this article compares and contrasts the compensation provisions in the Irish government’s General Scheme of the Data Protection Bill 2017 with existing legislation and case-law in Ireland and the UK, and with incorporating legislation and Bills in other EU Member States, and concludes that the Heads of the Scheme do not give full effect to Article 82(1) GDPR. Amendments to the Scheme are therefore proposed. To ensure that any person who has suffered such damage has an effective remedy pursuant to Article 47 CFR, Member States will have to provide, pursuant to Article 19 TEU, remedies sufficient to ensure effective legal protection in the fields of privacy and data protection. In particular, they will have to provide expressly for a claim for compensation, incorporating Article 82(1) GDPR into national law. Claims for compensation are an important part of the enforcement architecture of the GDPR. Private enforcement will help to discourage infringements of the rights of data subjects; it will make a significant contribution to the protection of privacy and data protection rights in the European Union; and it will help to ensure that the great promise of the GDPR is fully realised. As I was working on this paper, I published several posts on this blog (here | here | here) including discussions of the literal meaning of Article 82(1) GDPR in each of the EU’s 24 official languages and the current status of GDPR incorporation in the EU’s 28 Member States. Thanks to everyone who has engaged with these posts – the analysis in my paper has improved immeasurably. All comments on the current version gratefully received.